The historic Saint Mary’s Church was completed in 1898. 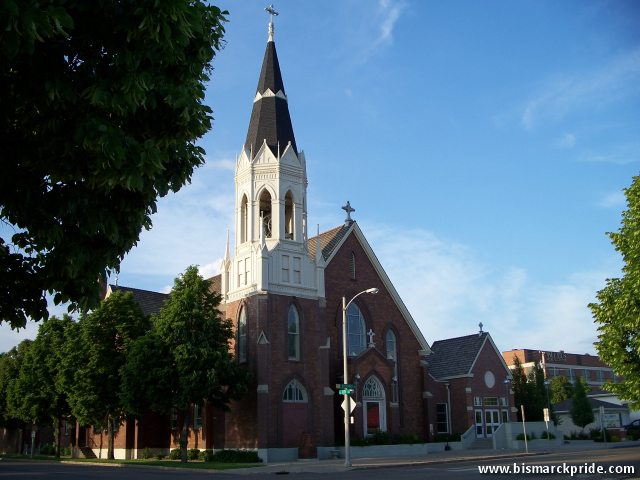 The church houses the oldest parish in Bismarck. The parish’s first church was built in 1875 at the corner of Main Avenue and Mandan Street, three years after Bismarck’s founding. Saint Mary’s is Bismarck’s second oldest church still standing. The Bread of Life Church (AKA Saint George’s) was completed in 1881 and currently sits on the Camp Hancock Historic Site.